There’s always quite a bit of confusion about shamanism. To explain shamanism many pages and much time would be needed but we won’t however succeed in giving a complete definition! In fact, in order to understand a practice that is as ancient as humanity, we must start from our very heart. We have to feel a deep gratitude and respect for Life in every form, and for the balance present in our planet, inside every living form, and, of course, inside us! Shamanism, in all of its forms, is the most ancient and widespread practice in all Planet Earth. It can be found in different societies and cultures, spread in different parts of the world, inside different traditions and religions. We could certainly state that it is born together with humanity, in the night, far away in time, where the awareness of magical and supernatural energy inside nature itself began to grow. We’re talking about times where the exchange between men and earth was very different from nowadays. In these times, the impact of nature on humanity was so strong that it was a real danger in daily life. On the other hand, interpreting correctly nature’s messages meant to assure ourselves quite a secure life, with food’s abundance. The shaman is the person who can read deeply inside nature, where every form of life is sacred and owns a peculiar gift. We can now understand the main ability of shamans: to know how to read beyond appearance, to spot signs and energies that surround places and people. Traditionally, shaman and shamanism are words used in cultural anthropology, to indicate a set of beliefs linked to a particular vision of life and world, and everything that connects humanity and nature. The shaman is the interpret of this huge knowledge: it’s someone who has magical-religious powers, and that operate inside animist societies, and is UNIVERSALLY RECOGNIZED by them as a shaman. It’s firstly somebody who can travel between different levels of awareness, getting in touch with non-visible entities. Its aim is to take care of problems, of a single one as well as society’s, diagnose physical and spiritual sickness, travel in a state of trance to the spirit’s world and use his/her ability to heal. The shaman is the centre of society’s religious and magical life. Looking for the meaning of this word “shaman”, it derives from the word “Tungusa-Shaman”, which means “the one who has power on (spiritual) fire or to heal”. 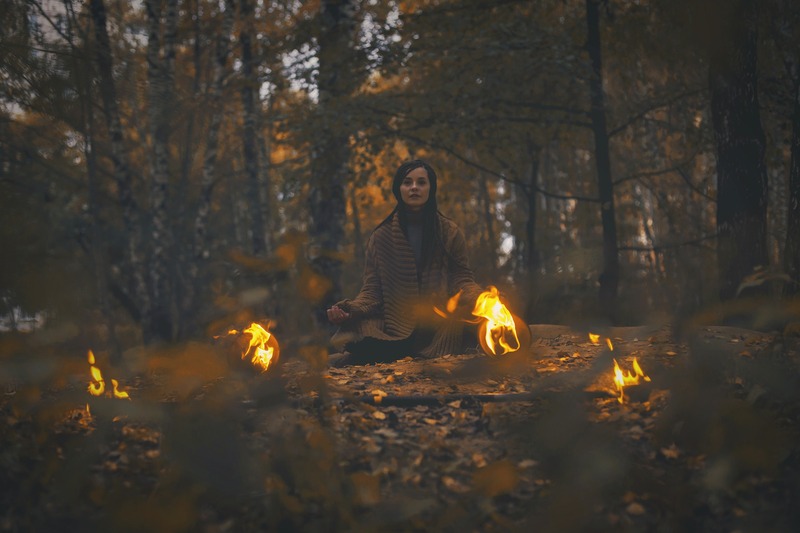 Originally the classification of these practices was made according to Siberian and centre-asian tradition, but then we’ve understood that the shamanic practices present special, common, peculiarities inside a flexible structure. These practices, as we’ve said, can be found in different cultures and religions. We have shamans in India, Africa, Americas. Some anthropologists believe that because of this reason, shamans are to be considered a transcultural phenomenon. That’s why, thanks to globalization, the word “shaman” is commonly used to indicate the said peculiarities, even if inside traditions very distant and different between them. Nowadays, the word “shaman” is wrongly used to describe a group of magical and religious phenomena that have nothing to do with shamanism. Commonly, the terms shaman, medicine-person, healer, curandero/a, sorcerer/sorceress, wizard/witch are synonyms. A shaman, of course, might also be a medicine-person, healing with herbs and ceremonies, but the shaman is mainly a mystic, priest/priestess, psychopomp and bard. How can someone become a shaman? Traditionally the novice must undergo two kinds of training: one with an older shaman, and the other in the spirit’s world, through the shamanic, non-induced trance. Non-induced means not obtained or guided through meditation, and not obtained thanks to dope assumption. The shamanic trance’s phenomenon is spontaneous, and that makes the novice (sometimes young, sometimes not) a chosen one for the shamanic path. Rarely is the person that chose to follow this path, if it hasn’t been strong spiritual phenomena in his/her past. These phenomena and other unequivocal signals show the novice inside his/her social group and make so that the novice is trained by the oldest shaman. Usually, the training last many years: it includes particular diets and fasting, tests of resistance and comprehension, long periods of isolation in nature and hard physical test that sometimes put at risk the apprentice’s life itself. Is this closeness to death in every aspect, that brings the shaman-to-be in close contact with the spirit’s world and with a deeper understanding of humanity. When the training ends, the teacher states that the apprentice is ready for beginning his/her shamanic work, as well as to be recognized as shaman by society. Usually, the apprentice must show the abilities gained, by performing a healing in public or similar demonstrations. Only when society recognize the apprentice as a shaman, he/she can begin to work. We’d like to say, in the first place, that nobody in our association defines him/herself as “shaman”, because this title is only for those who have the peculiarities described before. We consider ourselves “shamanism practitioners”, which means that shamanism is constantly part of our daily life from many years, and that we’d like to go further in our personal development’s path with humbleness and love. Our seminar’s teachers have gone through many trainings of medicine people and shamans, overtaking every test and initiations and for this reason they were considered ready to teach and to perform pubblic cerimonies with respect. Everything that we teach, is taught with great love and, above all, with all the respect for the sacred practices, according to the original teachings. (Italiano) Che cos’é la Vision Quest?